It's time to meet the gang from Fox Way Alpacas that I have had the pleasure to visit a few times over the past couple of weeks. 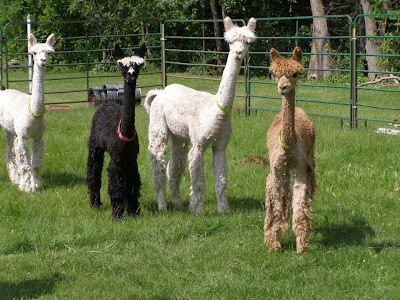 From left to right we have: Kane (Raising Kane), Simon (Simon Says), Turbo, and Aiden. Turbo is the biggest of the bunch and acts as the leader of the pack. 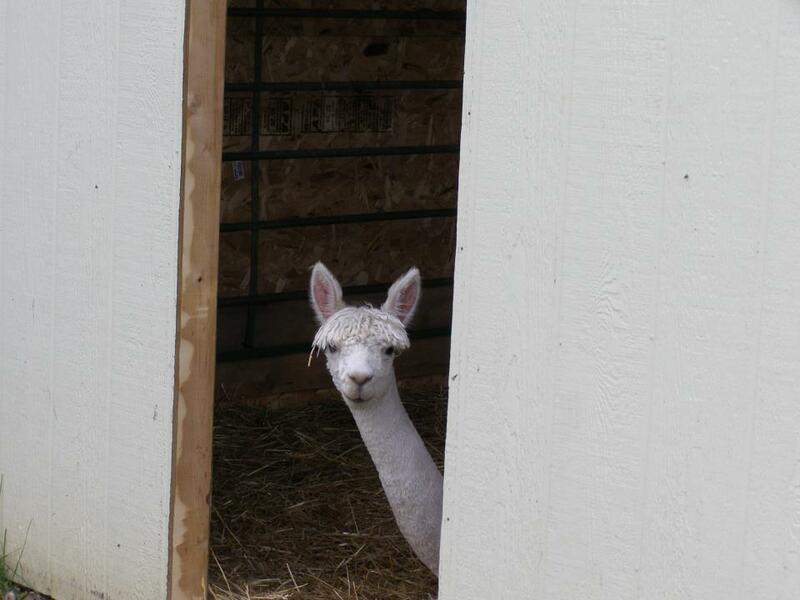 He's always the one keeping a look out for danger and is usually the first one to greet a newcomer to his domain. He's technically a beige alpaca because of the smudge on his forehead, but for all intents and purposes, his fleece is just as white as Kane's. 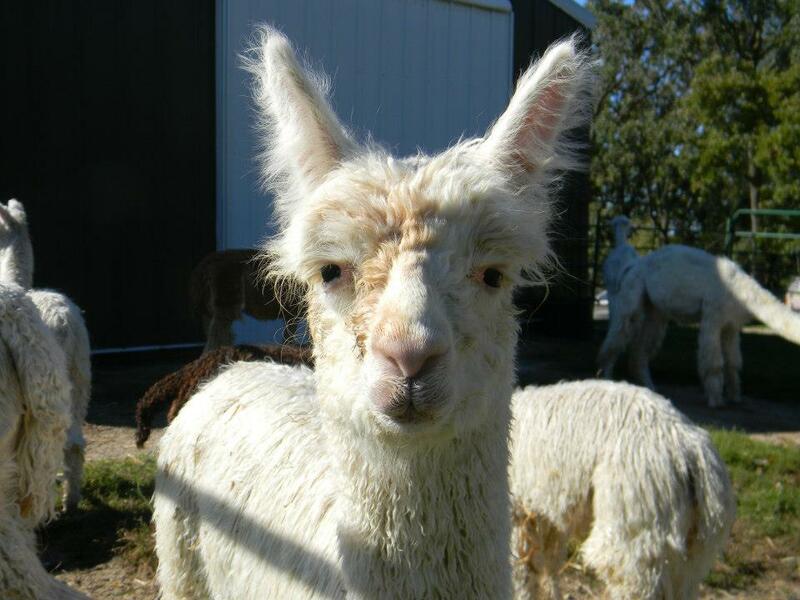 Kane tends to be the troublemaker and is definitely the most rambunctious of the group. I have yet to have a great deal of trouble with him, but I hear he can throw a bit of a hissy fit. When in the shelter, he likes to hunker down by the door so he can always see what's going on outside. Simon is a bit skittish, but has a very lovable personality. Perhaps I just view him as a fellow introvert and leave him be. 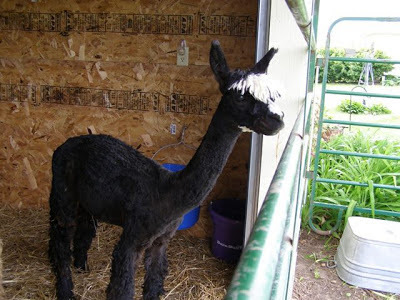 His fleece is a beautiful black and I love the streak of white on his forehead! And lastly we have Aiden. 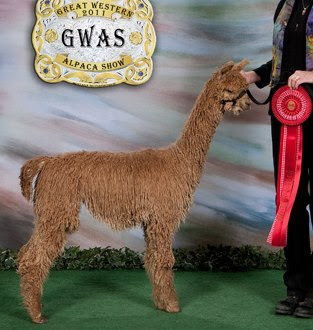 Aiden, obviously, is a brown alpaca and had a stint in the show ring before moving in with the other boys. His dad is still a showpaca (I made that word up), so for the time being he'll be staying out of the circuit, but his fleece is quite beautiful. All four of these boys are very gentle and are a joy to be around. It's always fun to watch them run and jump around, roll on the ground, or most often in my case, do what they can to stay away from me. Hopefully that changes soon! 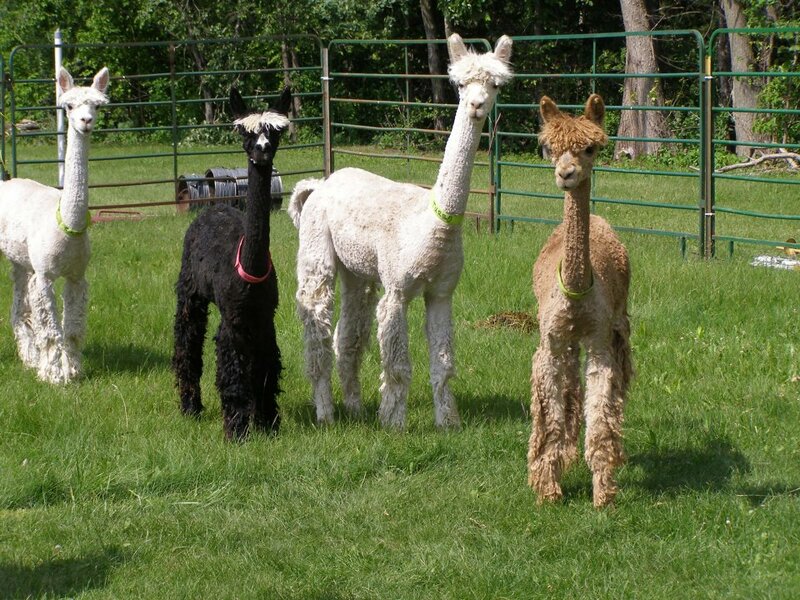 I definitely think alpacas are man's other best friend. Who said a person can only have one? 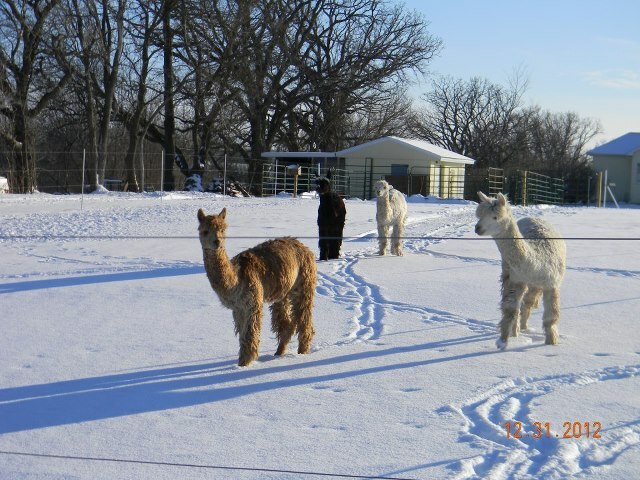 All photos in this post are taken, with permission, from the Fox Way Alpacas Facebook page. You definitely have very nice friends! 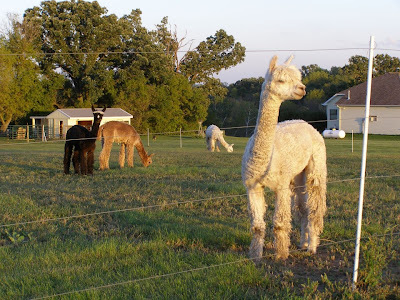 Can´t wait to see the yarn you´ll be spinning from the fleece. Showpaca is definitely a word now. That's a pretty cool new volunteer opportunity! Is a 4-alpaca farm on the small side, or around average in the US? They are quite handsome! And don't you love how each has his own personality? Enjoy your new best friends.